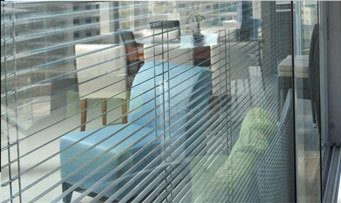 Double glazed venetian blinds use the redundant space between 2 glass surfaces of double glazed units. Normal conventional window blinds suffer from the vagaries of wear and tear. 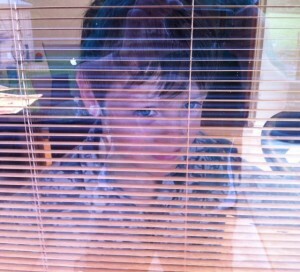 Whether it is the children or cats thinking that the blinds are part of the play equipment in the house. Conventional blinds also get getting really dusty and have to be cleaned on a regular basis, additionally they are not very hygienic. If conventional blinds are fitted to a door or window, they flap about in the wind and get damaged. Double Glazed Venetian Blinds provide a practical solution to all these problems. They are self-contained within the two panes of glass in double glazed window panes. Double Glazed Venetian Blinds can be moved up and down as well as being tilted within the unit using a magnetic switch. There are also motorised remote controlled versions for the height of luxury. The Venetian blinds are available in many colours that will naturally complement the design of your room, conservatory or office. The use of Double Glazed Venetian Blinds stops your blinds from being damaged by children or pets. Double Glazed Venetian Blinds are extremely convenient. Having them inside the double glazed unit means when you open windows or doors the blinds move inside them. There are no blinds getting in the way. This provides optimum convenience and practicality and is not annoying by flying around in the wind. Double Glazed Venetian Blinds come in a wide range of colours. They create a modern look to suit the styling of any room. They also allow you to control the light in a room to ensure no glare on computer screens and work spaces. Call us on 0800 310 12 22 to find how our blinds can benefit your customers.